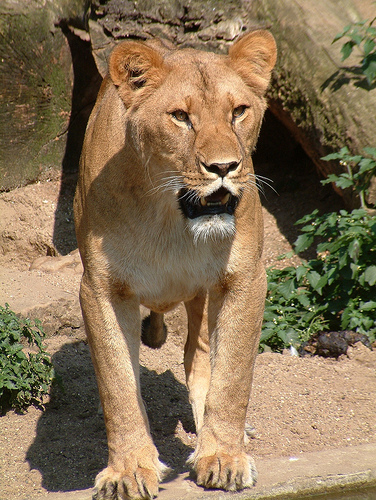 Female lion facing front. Captive animal. 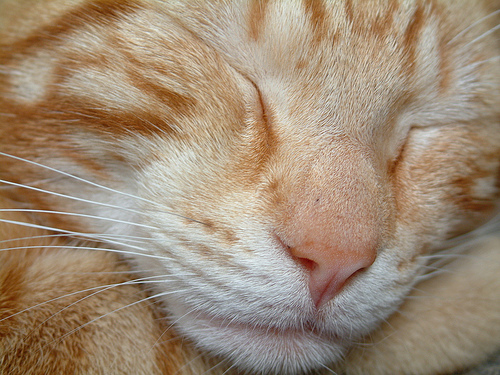 Closeup of sleeping tomcat. Domestic. 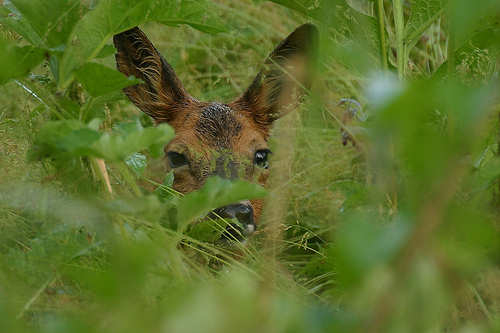 Roe deer looking through the vegetation. This image was taken in the Biesbosch. In summer, when the vegetation is long, Roe deer completely disappear. On a rare occasion, you notice them before they notice you. 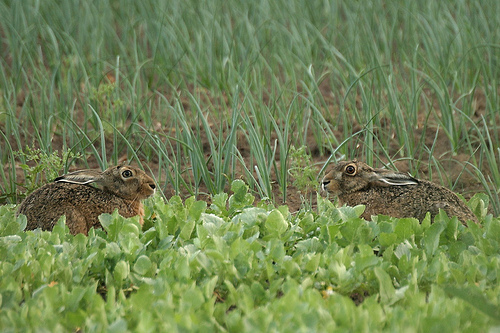 Two European Hares in a crop field. I don't think the farmer will be to happy seeing these two hares in his field.